Who says butchers can’t be creative? The butchers at UWAJIMAYA supermarket in Seattle know how to attract attention and show off their talent. 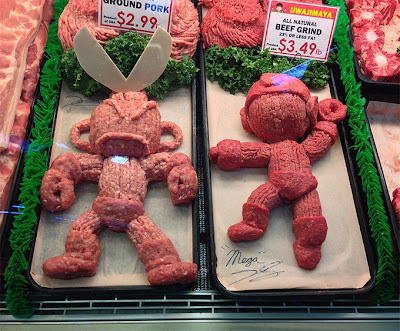 They cleverly display two ground meat options, pork man vs beef man. Playing with food is not just for children!